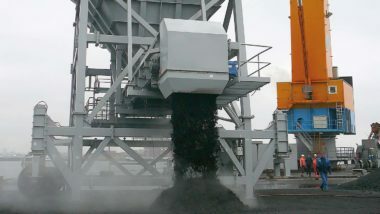 HH300 Loading Hopper is rail mounted and standardized for receiving material from a grab crane at ports and stock yards. 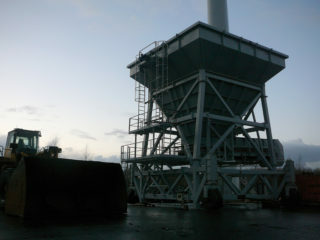 HH300 Loading Hopper can be fed with grab crane or vessel ́s own discharge boom. 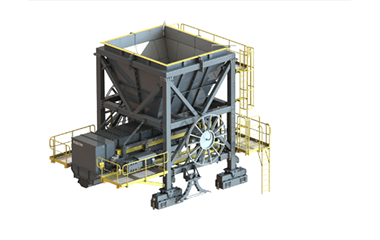 Loading Hopper is equipped with a belt feeder that discharges the material onto a fixed port conveyor or to a HC200 Link Conveyor. 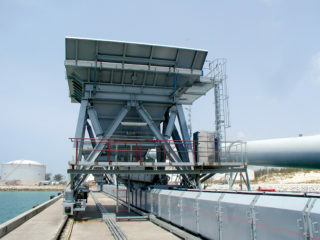 Loading Hopper can be easily relocated to another position along the rail. For repositioning of the Hopper there is a local control panel.